Cassis liqueur is still a rather newly introduced beverage in the U.S., considering it originated in Europe. 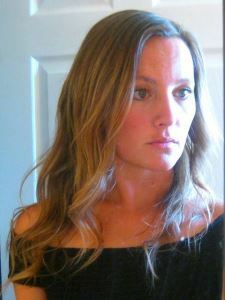 The liqueur’s popularity has been slow-growing in the States, however, it is gradually picking up steam. Cassis liqueur has a slight edge over other berry liqueurs, as it is made from black-currant berries, which bring out a very earthy, rich, tart, and multi-dimensional berry taste rather than mere sweetness. Cassis has been highly popular in cocktails over the years, as well as sophisticated desserts, including simply pouring it over ice cream. 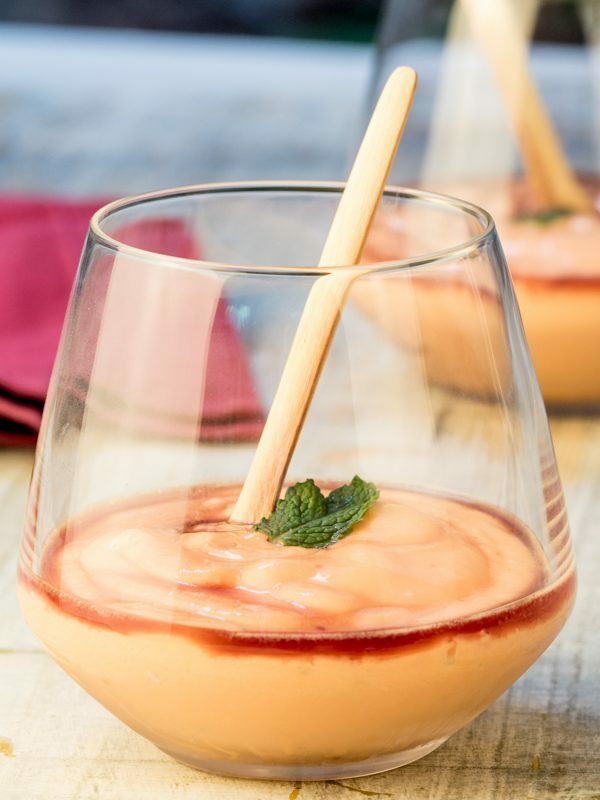 This recipe combines a winning array of flavors with the tropical notes of papaya, the cream and vanilla of classic ice cream, topped with cassis liqueur in a delicious treat. Place papaya pieces and vanilla ice cream in a blender. Pulse until a smooth cream forms. 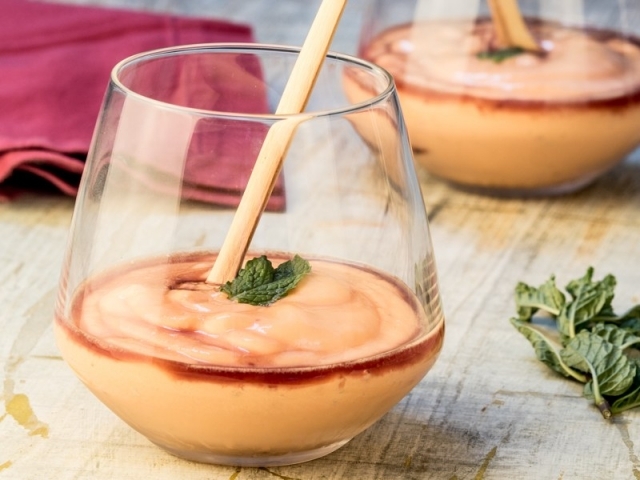 Spoon the papaya cream into 4 dessert glasses and top each with cassis liqueur. How much easier could it be to prepare such a lovely sweet treat? 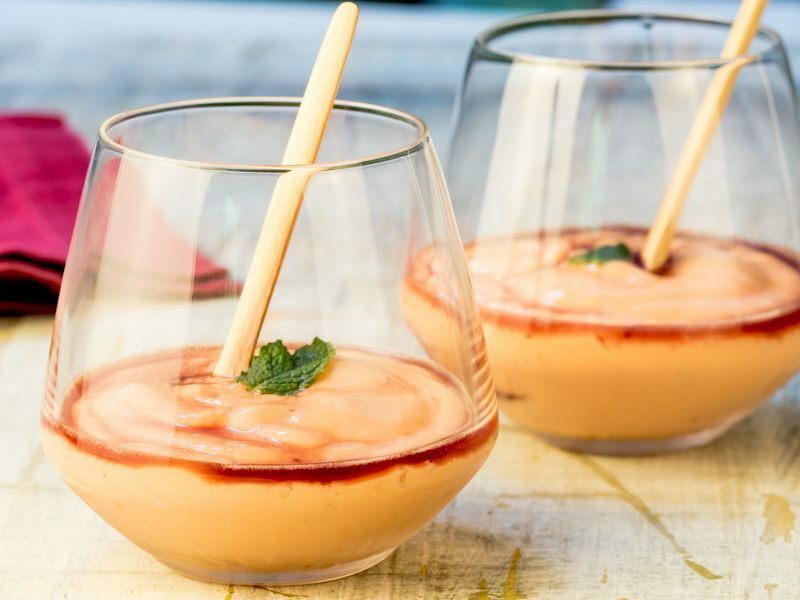 The process of blending papaya fruit with ice cream creates a tropical creaminess, bringing back memories of orange creamsicle pops on hot summer days as a child. Once the mixture is nice and creamy, this recipe is as simple as spooning the cream into glasses, over which you’ll add the cassis liqueur. Finally, top each glass with a mint leaf for a tinge of refreshing flavor, as well as an enhanced presentation. We love to serve this boozy dessert to our guests on a summer evening. Have you tried cassis liqueur before? Is this a recipe you’d like to try? Please let us know what you think in the comments and if you enjoyed the recipe, feel free to share it.